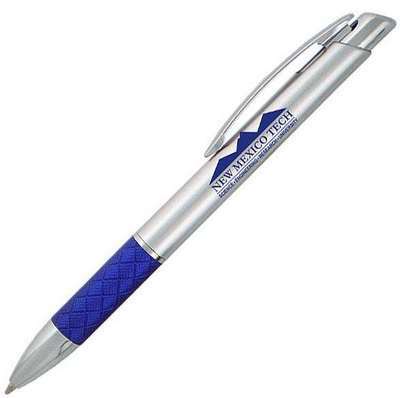 This Carlton click pen has a silver barrel for elegance and colored rubber grip and works on a click action. 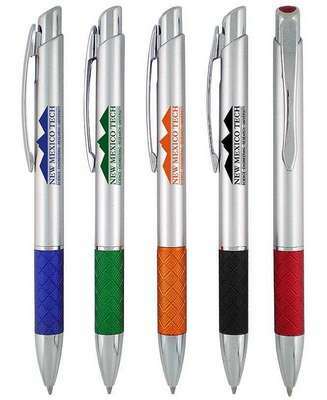 The Empire Carlton Click Pen is available in 5 unique colored grips for comfort and beauty while the silver plastic barrel adds to its much desired elegance. The barrel has enough space to imprint your company logo for maximum exposure and hence makes for a wonderful giveaway souvenir in all your promotional events. 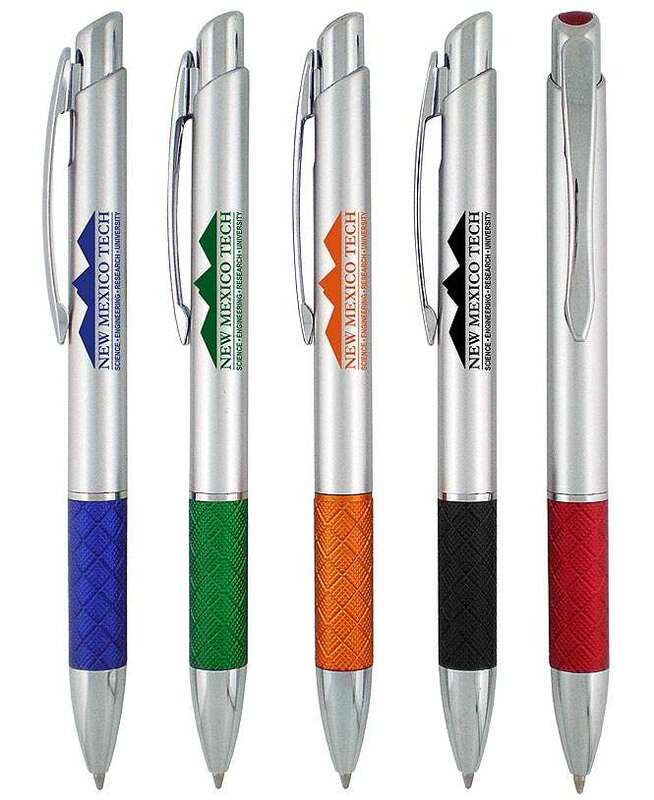 The matching colors on the rubber grip , clip and top of plunger makes it subtly attractive while the ergonomical design with the lovely chrome trims add to its style.